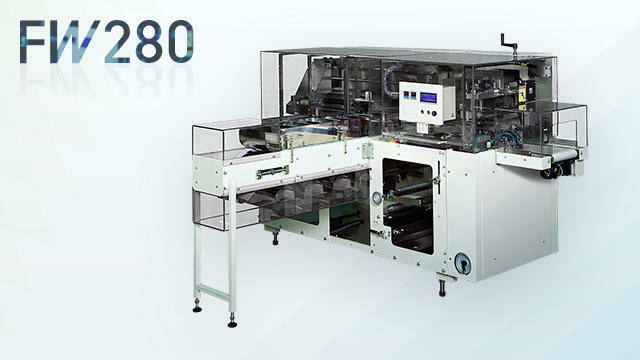 Wrap the frozen product FW280 | Horizontal Pillow Packaging Machines | FUJI MACHINERY CO.,LTD. A horizontal pillow type intermittent packaging machine. Packages products that are difficult to wrap with conventional horizontal pillow packaging machines, such as easily collapsible stacked products and slippery iced foods. Up to 10packages per min. Up to 700mm *Can package items that fit suitably into the following bucket sizes.